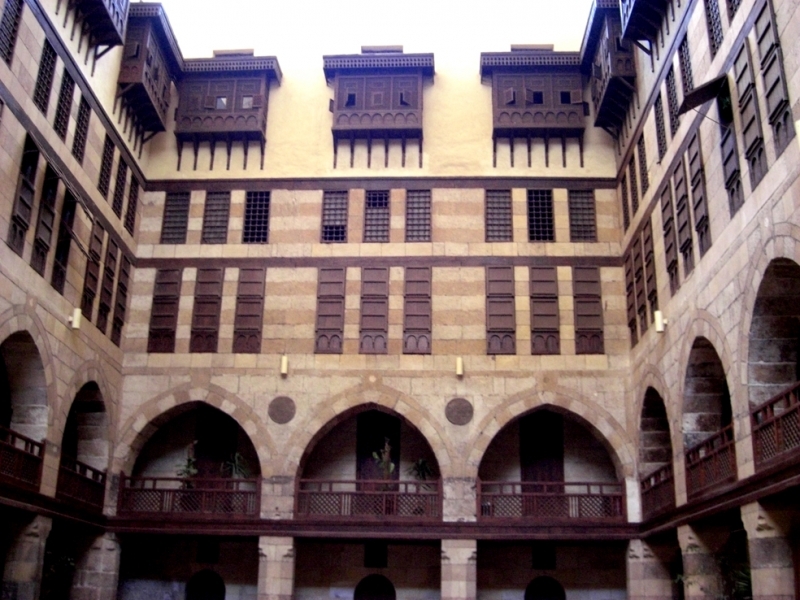 Built straddling AL-Muizz Street at the beginning of the 16th century by Sultan Qansuh Al-Ghuri, these buildings stand today as a reminder of a grander period in Cairo’s history when the city rivaled the great capitals of Europe for architectural grandeur. The Ottoman Empire would defeated the Egyptian Mamluk army in 1514, ending Al-Ghuri’s reign and beginning a period of decline in Cairo’s influence. The Ghouriyya Complex is just south of Al-Azhar Street at the beginning the southern section of Al-Muizz Street that leads to Bab Zuweila. On the east side of the street is the mausoleum that Al-Ghuri built for himself. Tragically, his remains were lost in battle with the Ottomans and never buried there. 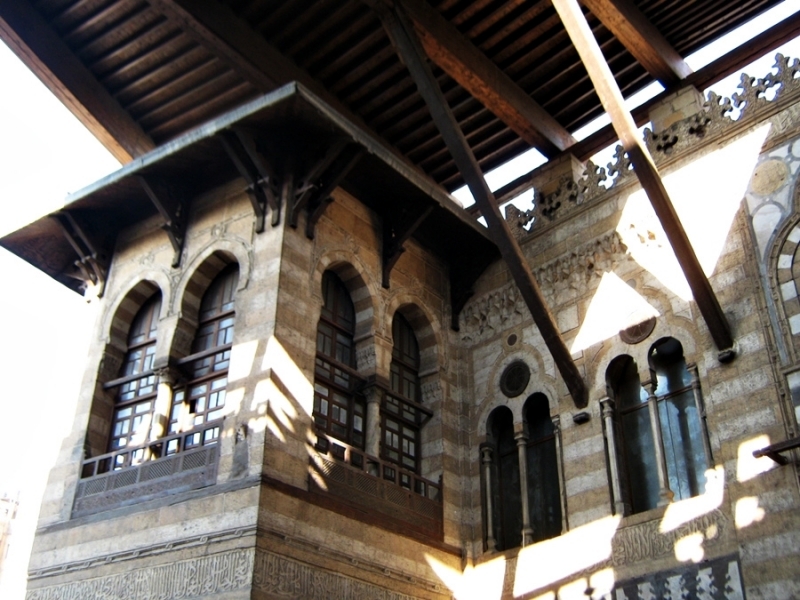 On the west side is a madrassa style mosque that boasts one of the highest minarets in Cairo. 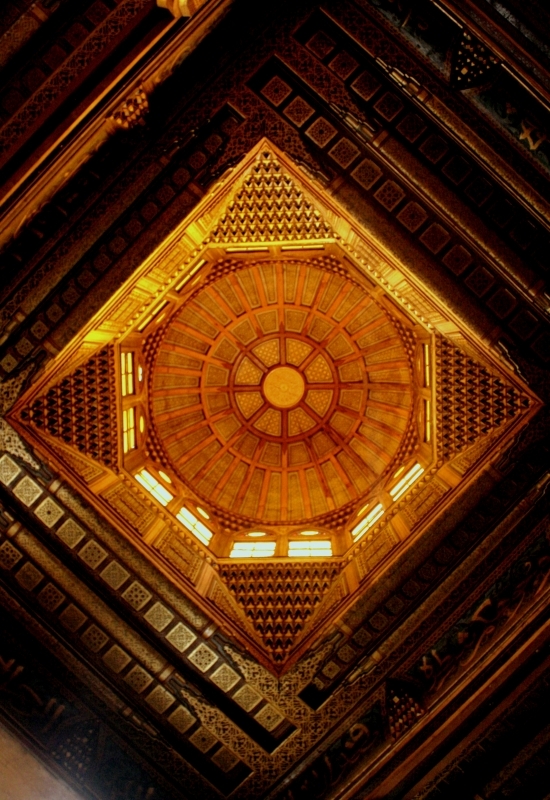 Its ceiling used to support the largest dome in the city, but it repeatedly collapsed and has been replaced by a simple flat wooden roof. The complex was a built as a unique, multi-use space. It included the mosque and the mausoleum, but also a sabil that provided free water to the people, administrative space, and a covered market among other things. Some parts of the original building have been demolished, but the Wikila Al-Ghuri still stands further east beyond several modern buildings. 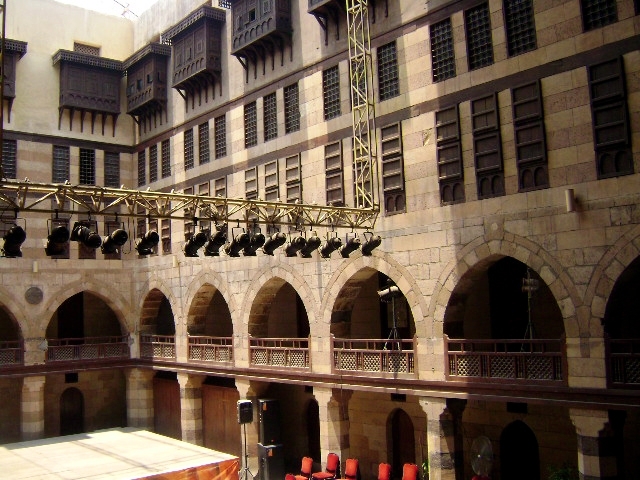 Now restored to offer a performance venue and housing and exhibit space for artists, this building was originally one of hundreds of covered markets in Cairo. Stalls on the first floor served as shops for travelling merchants while the upper levels provided housing and storage. 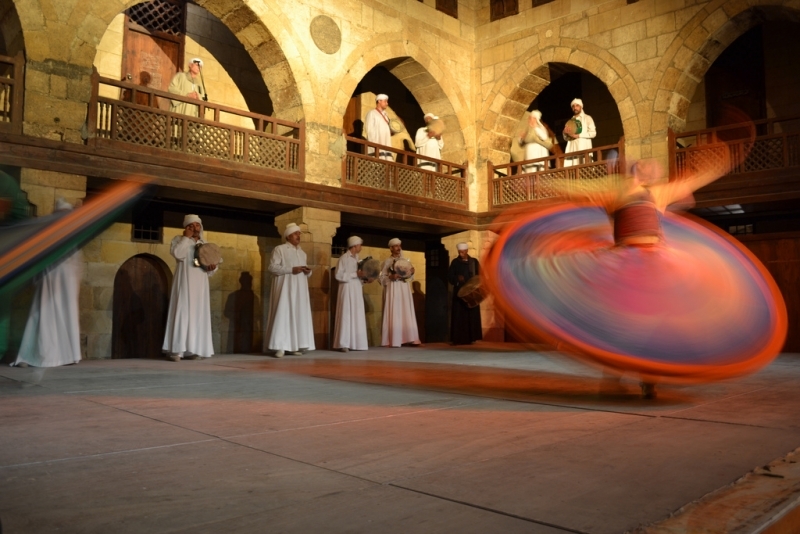 Today you can see whirling dervishes perform their meditative dance here in the free Tannouri Show on Saturday and Wednesday.